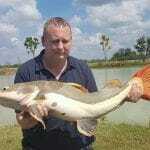 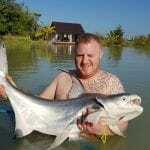 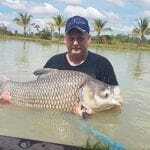 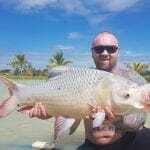 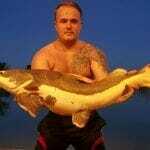 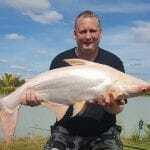 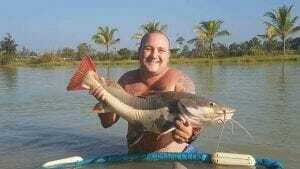 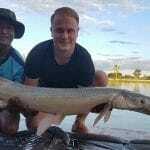 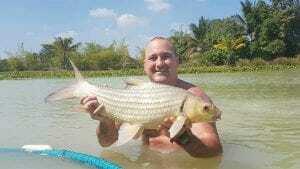 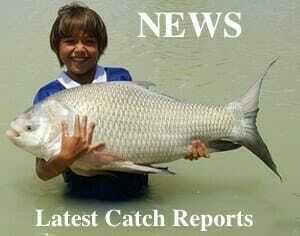 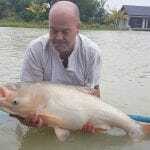 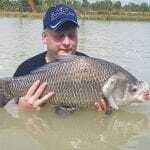 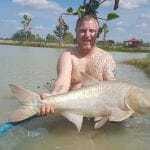 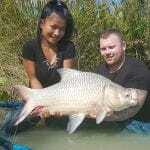 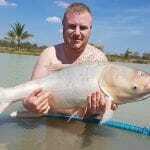 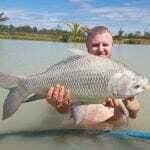 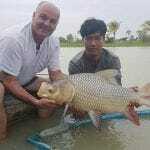 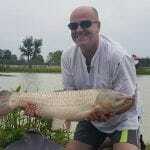 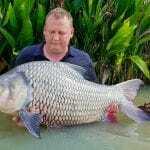 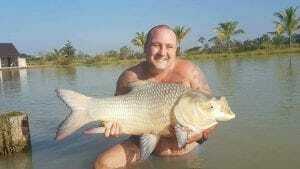 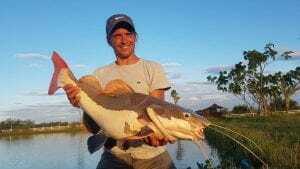 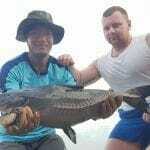 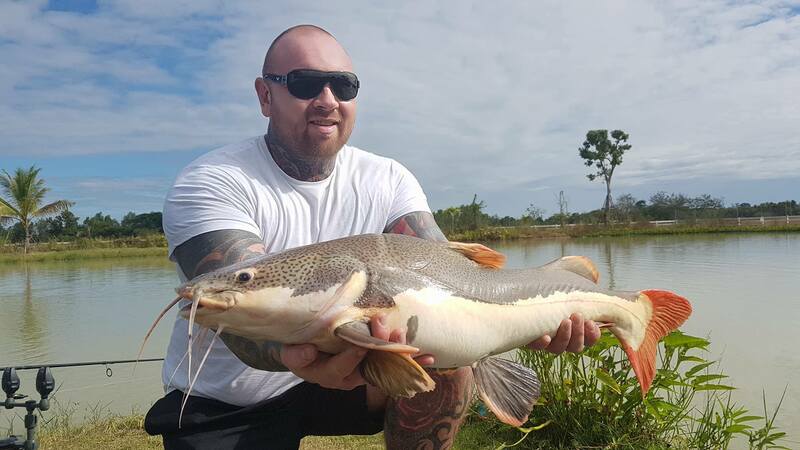 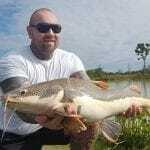 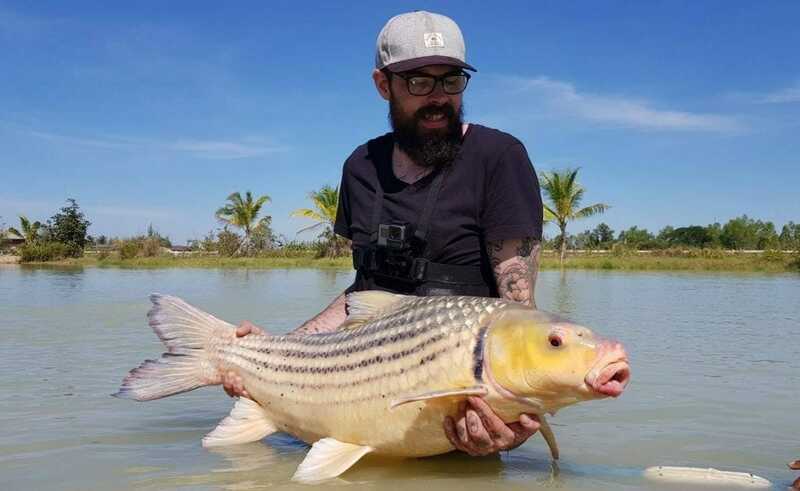 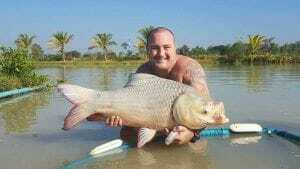 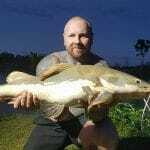 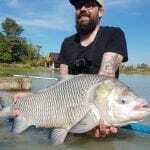 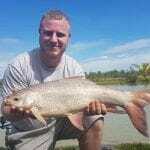 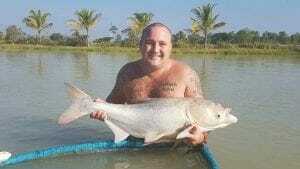 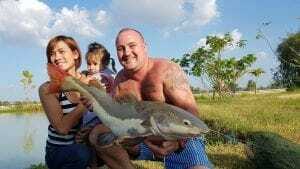 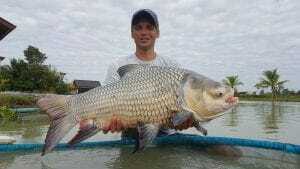 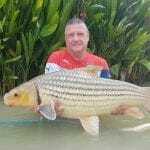 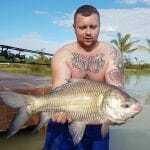 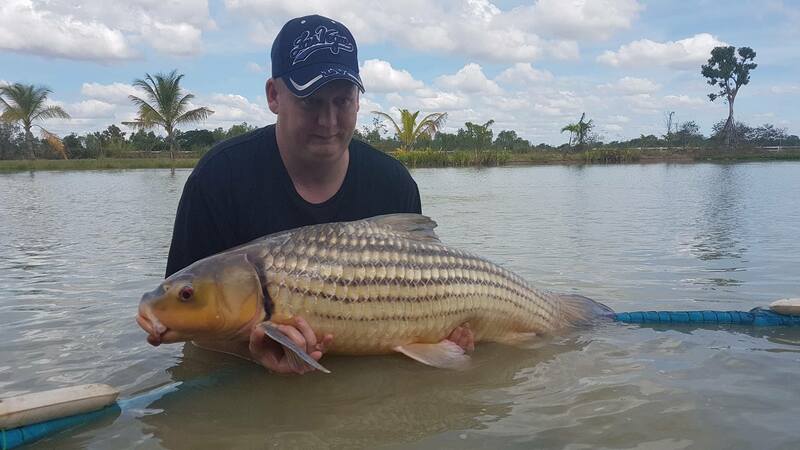 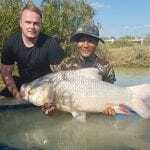 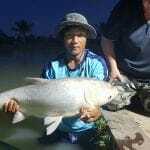 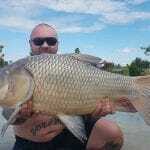 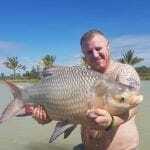 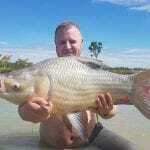 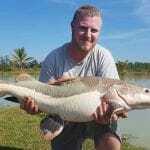 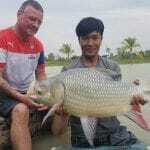 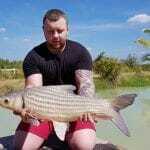 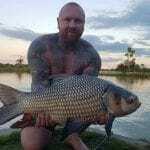 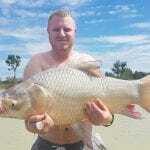 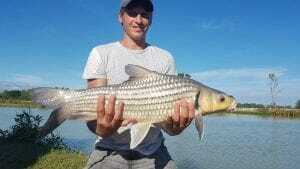 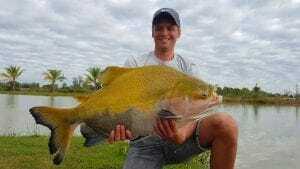 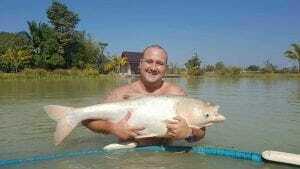 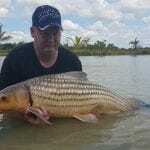 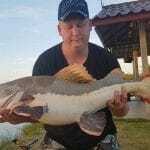 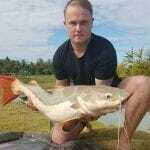 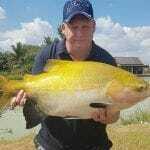 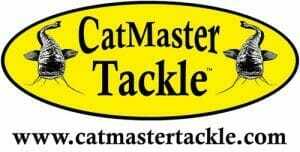 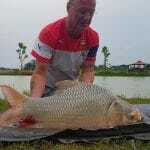 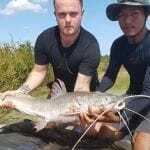 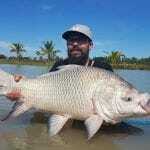 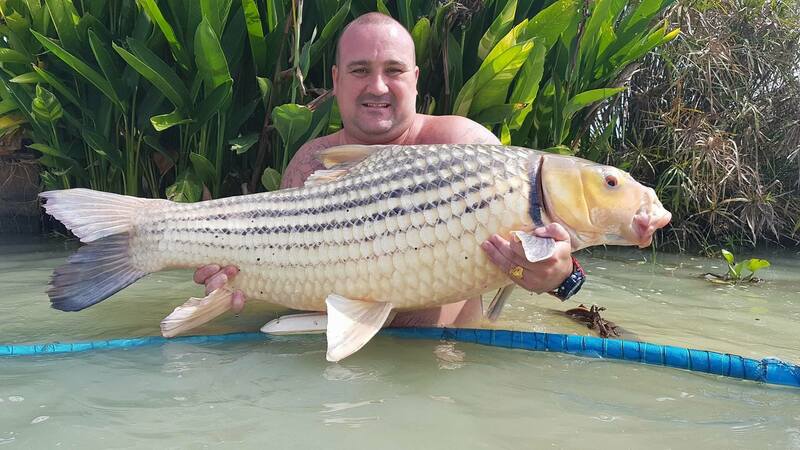 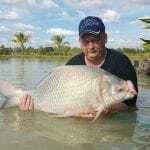 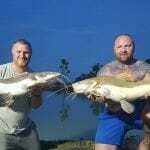 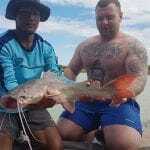 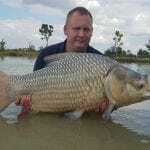 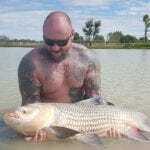 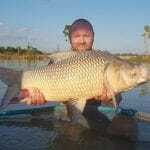 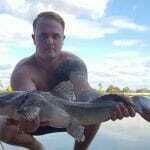 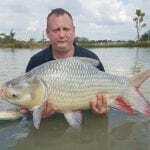 It is very nice to meet Chris French who is an experienced match angler from the UK. 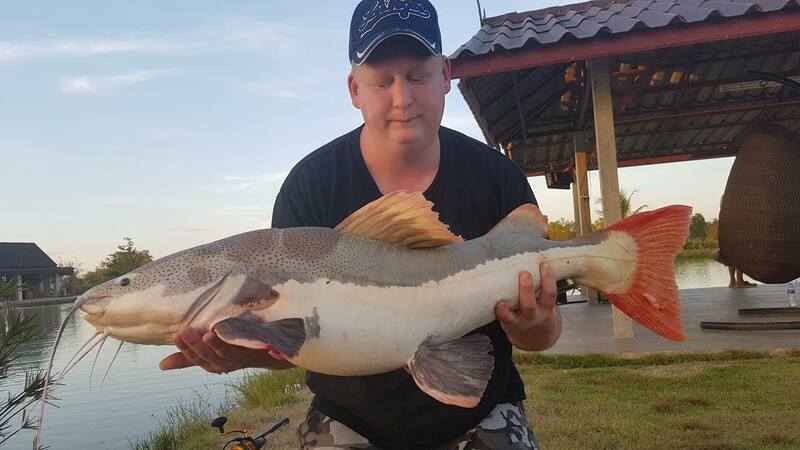 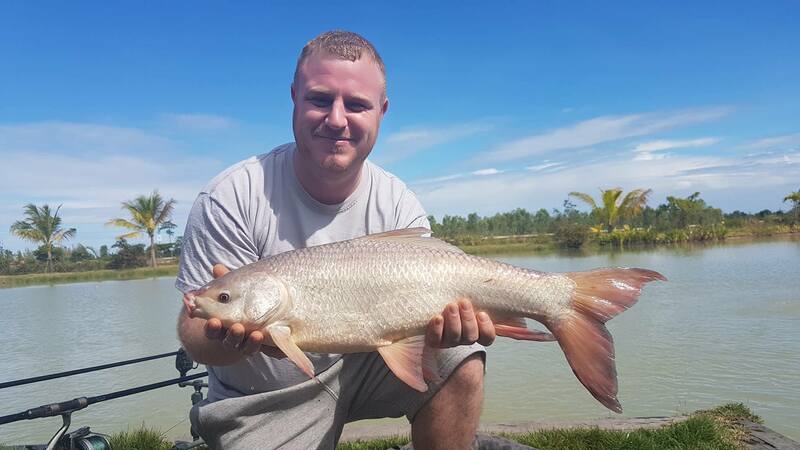 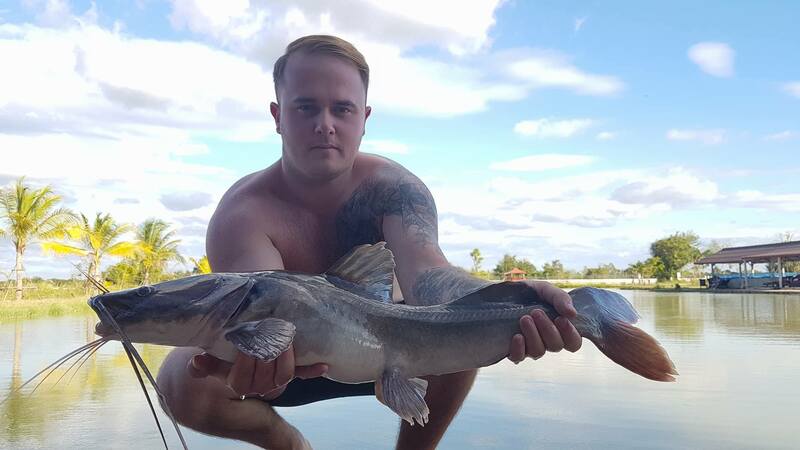 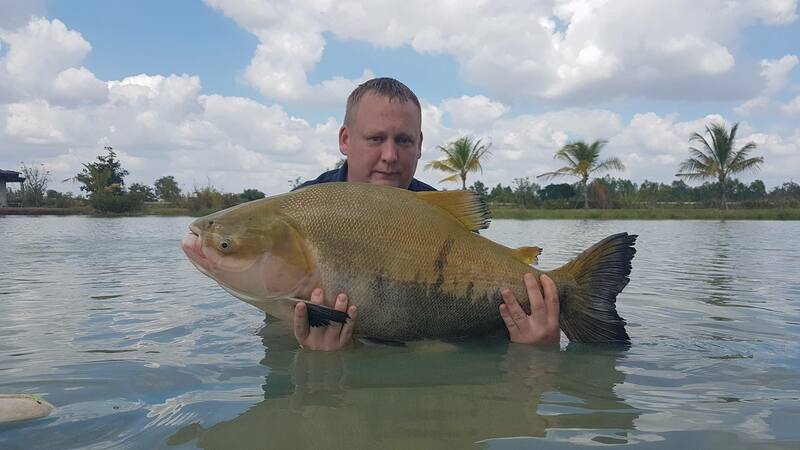 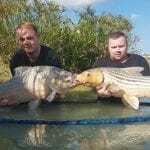 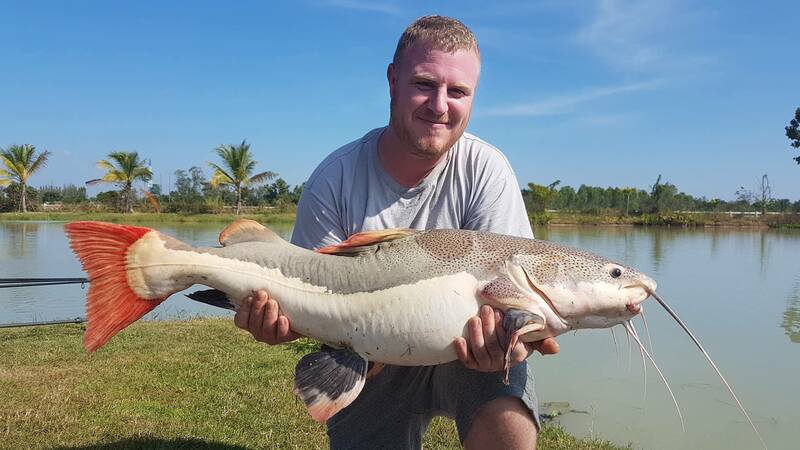 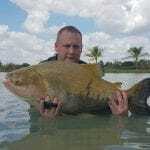 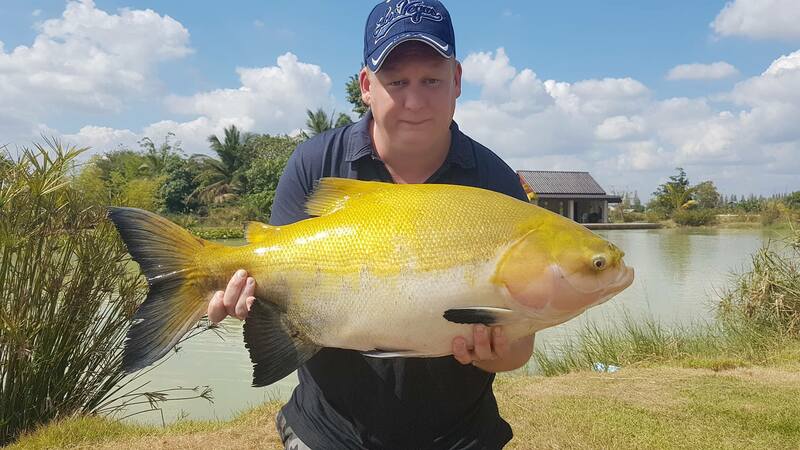 Chris is mainly after new fish species and he managed to tick a couple off the list on his visit to our lake. 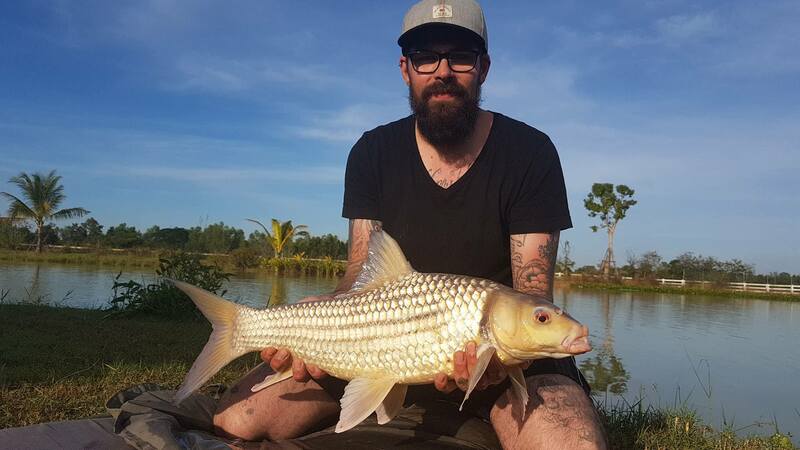 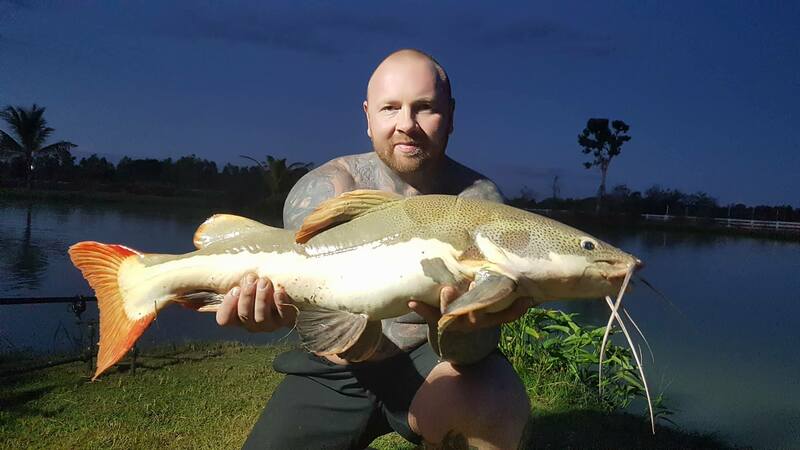 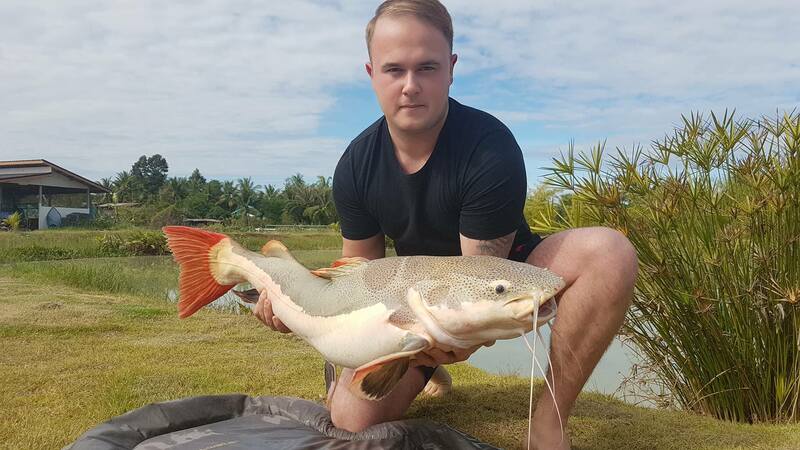 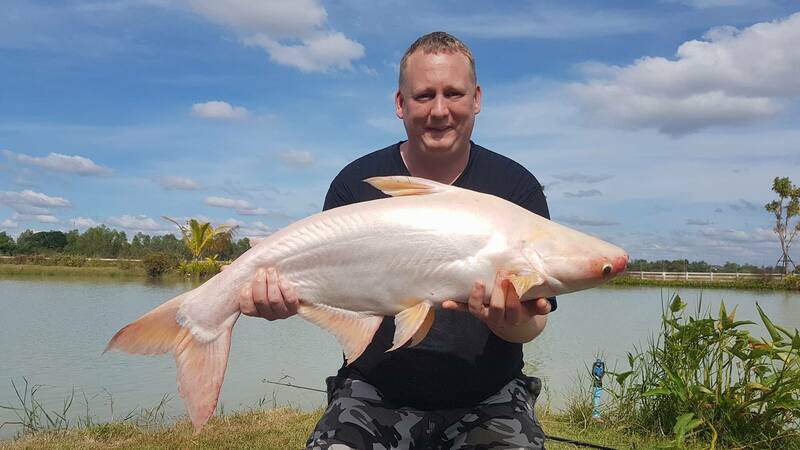 Nice to welcome British angler Baz back with us for a couple of days..starting off nicely with a good size Julien’s Golden Carp. 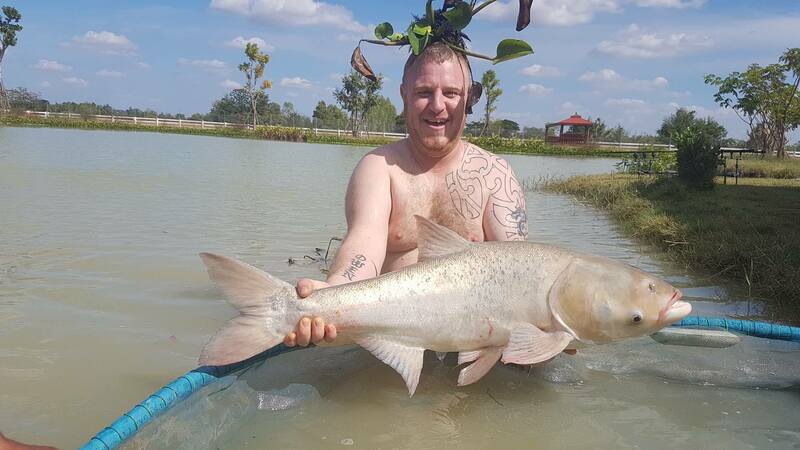 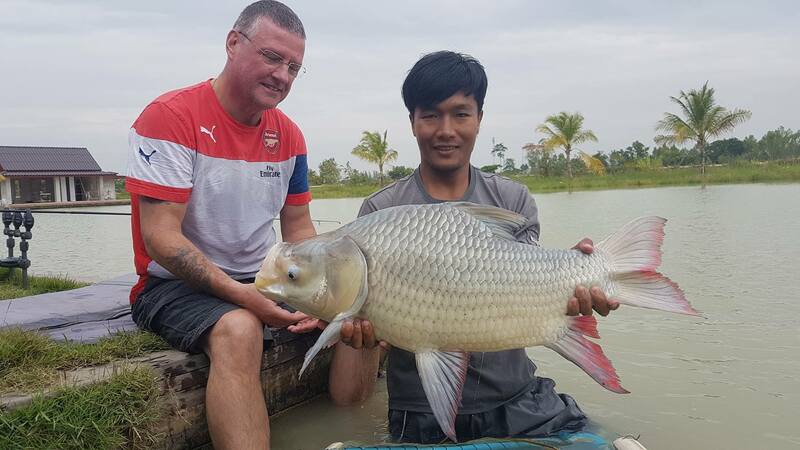 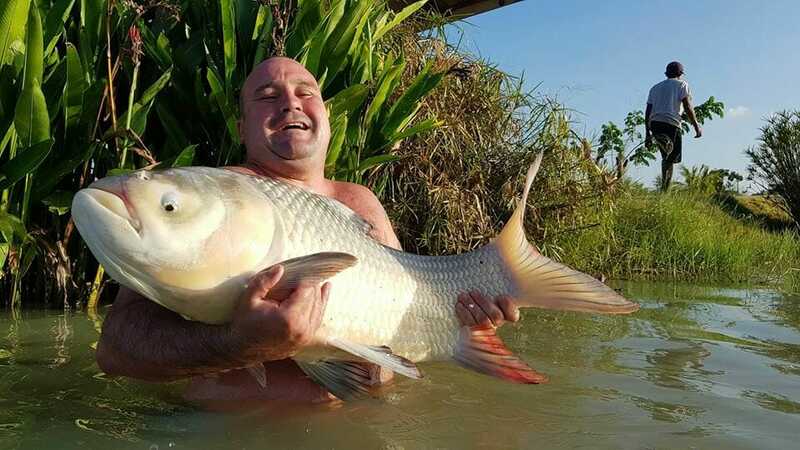 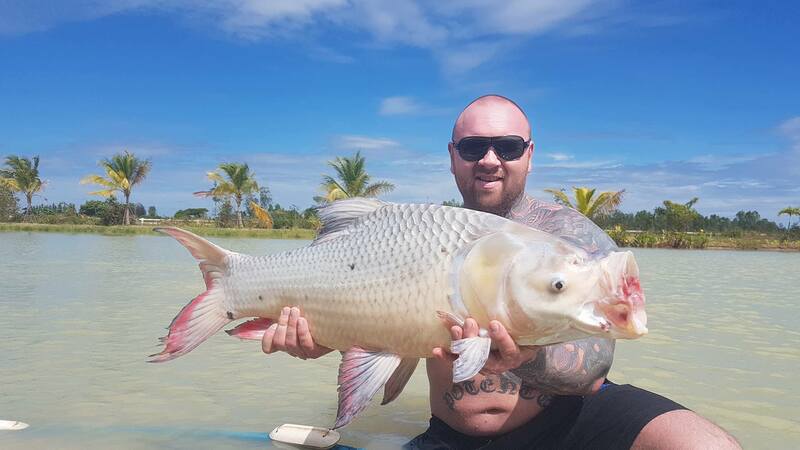 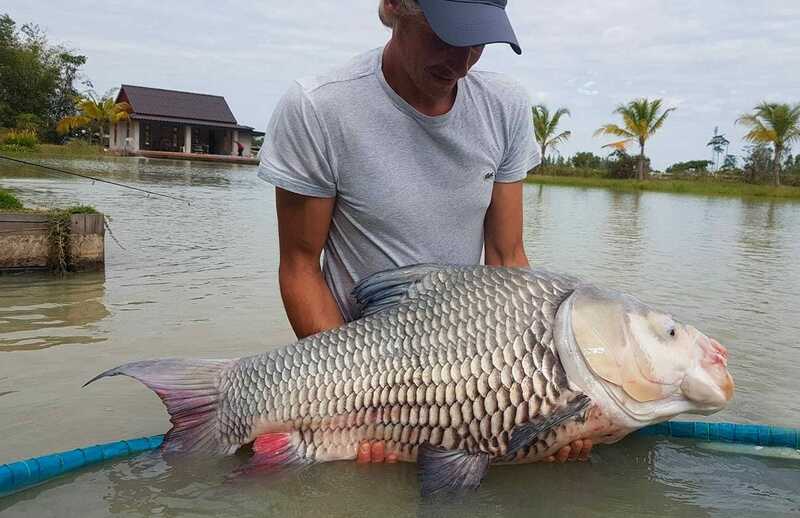 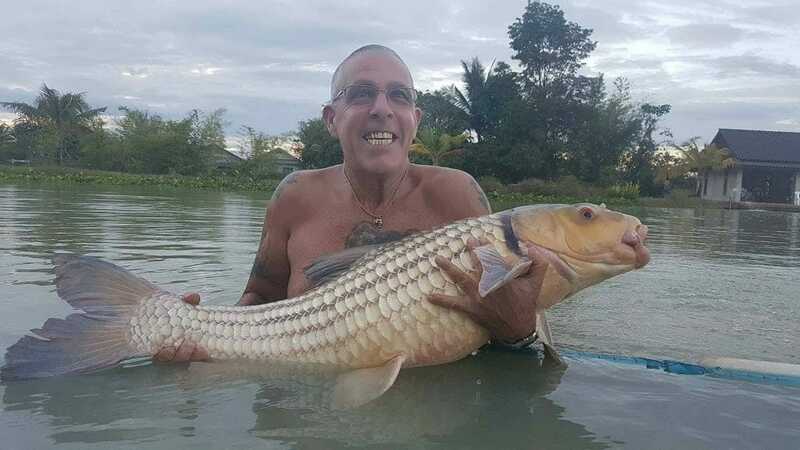 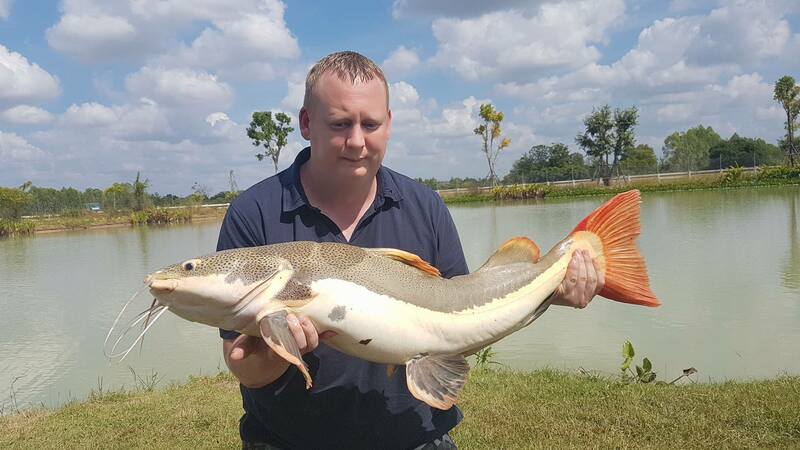 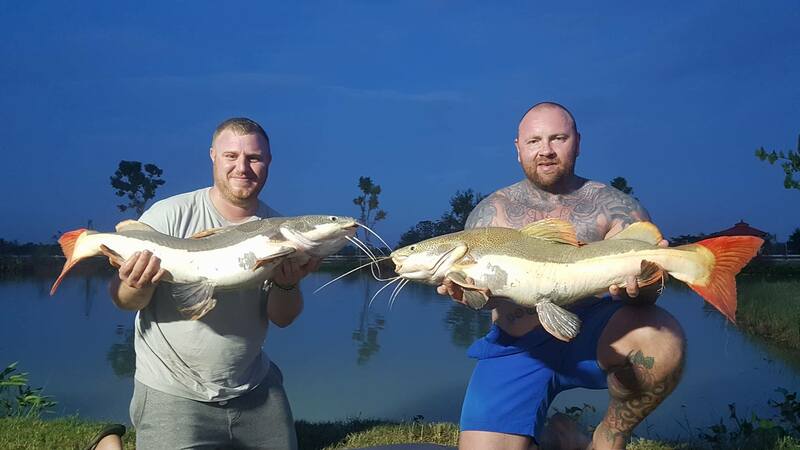 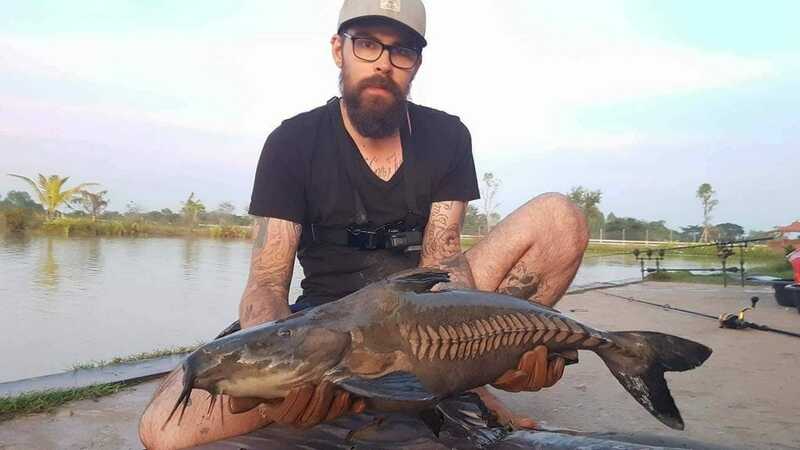 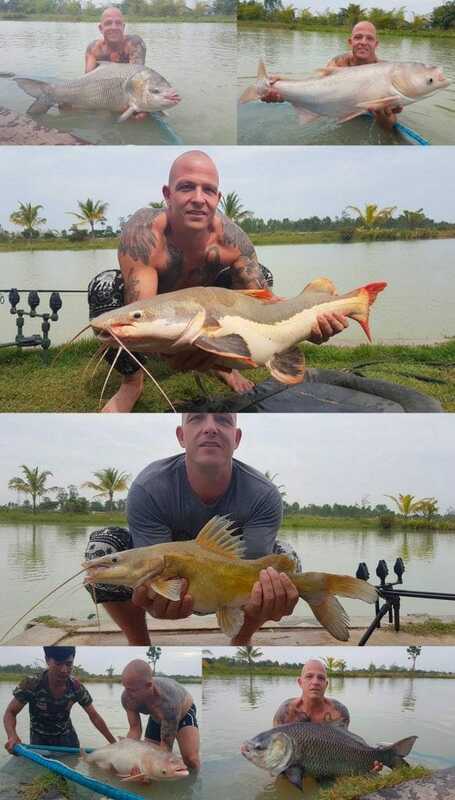 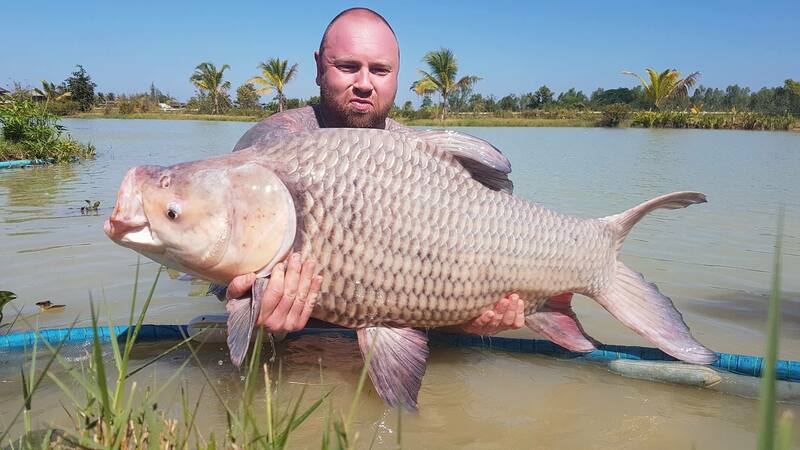 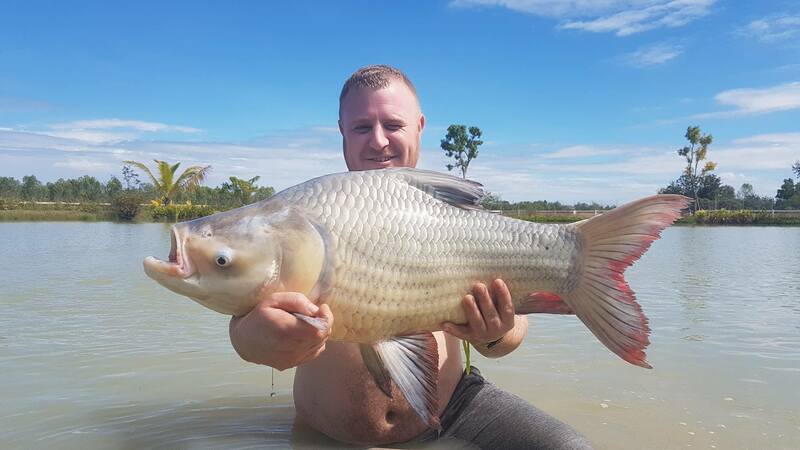 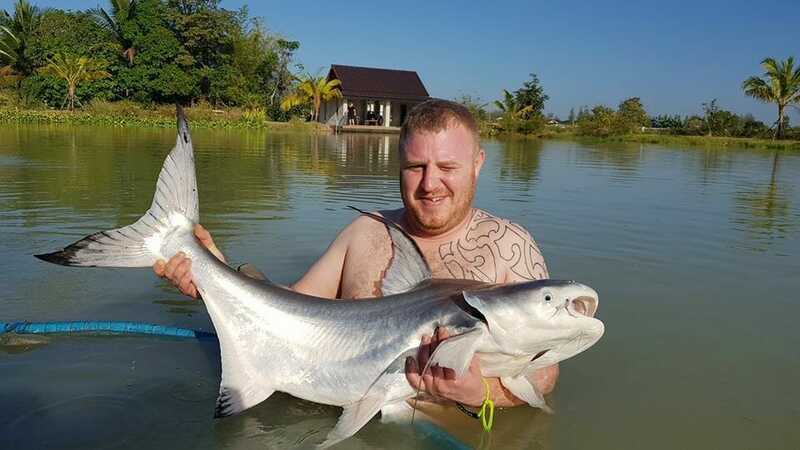 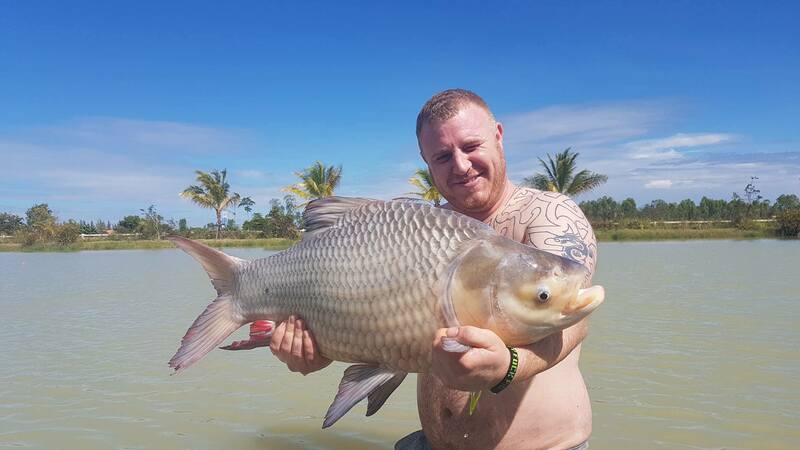 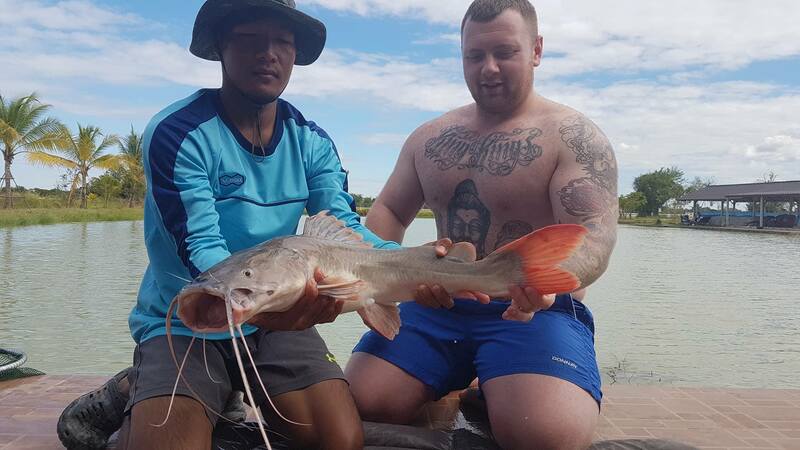 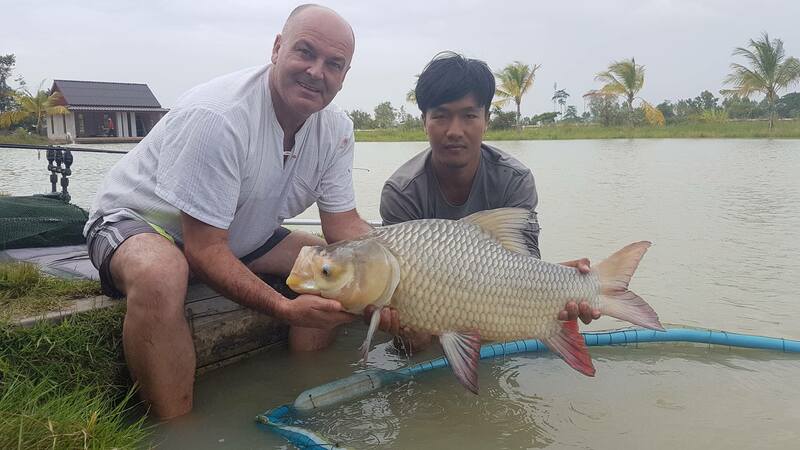 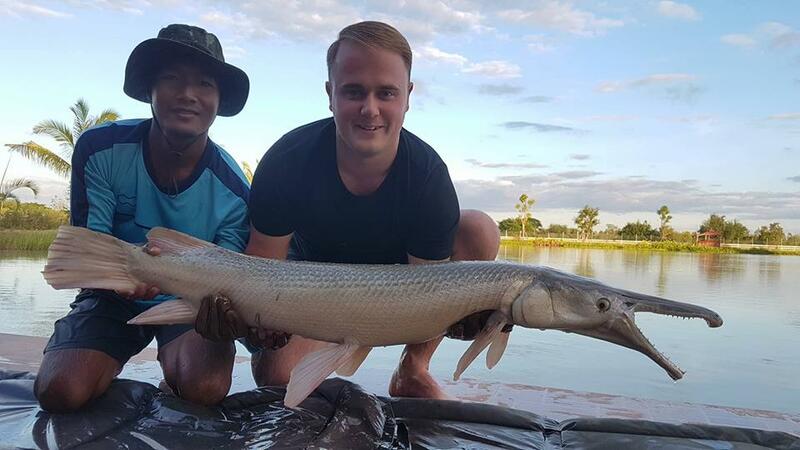 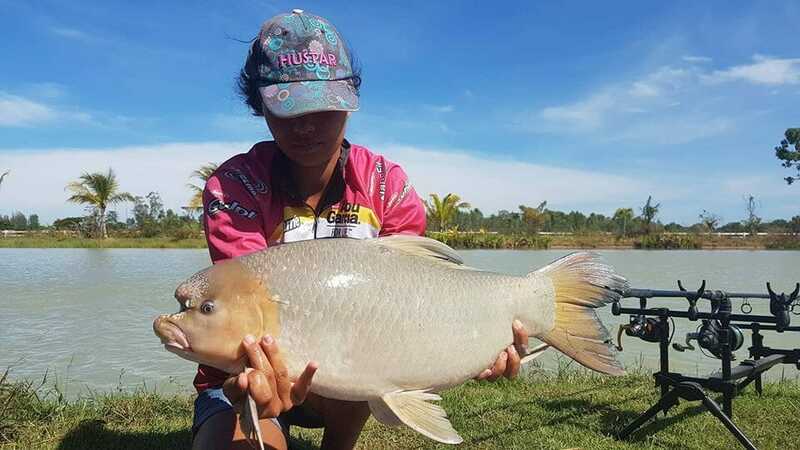 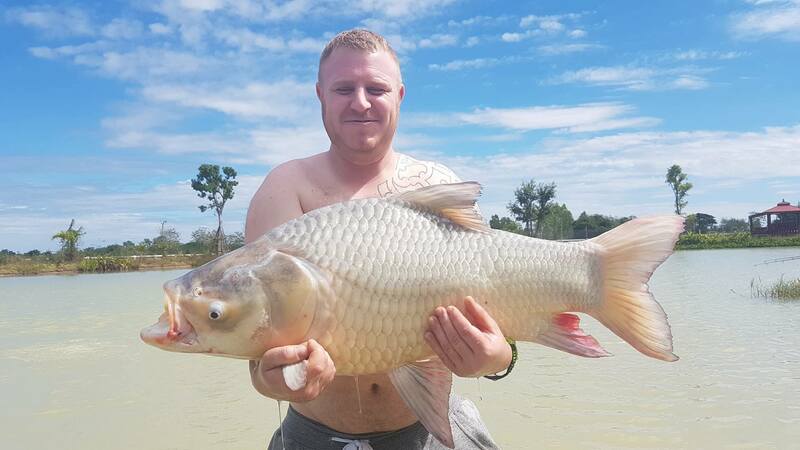 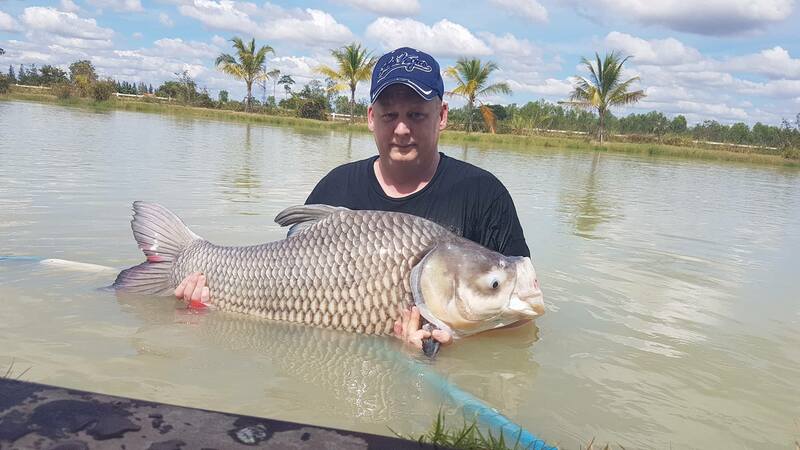 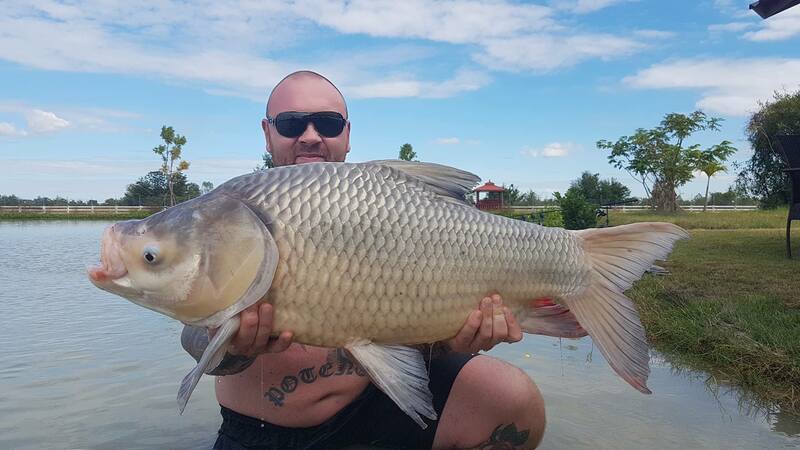 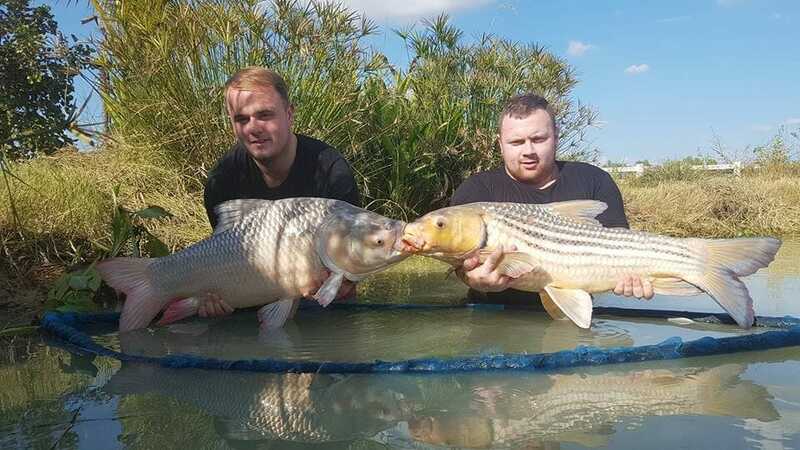 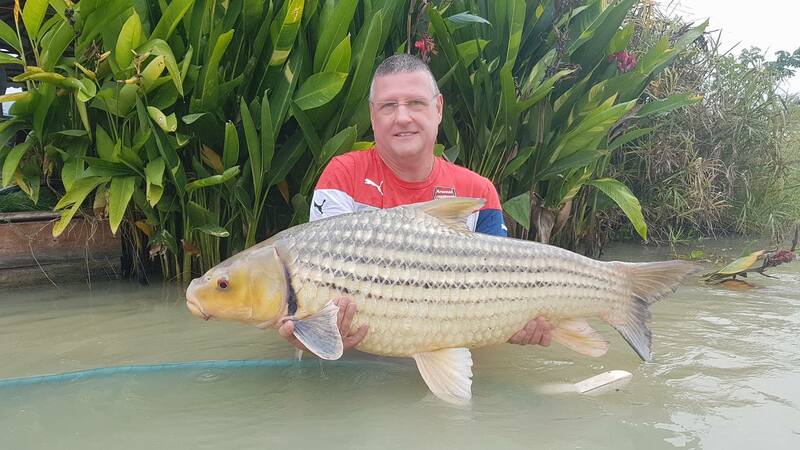 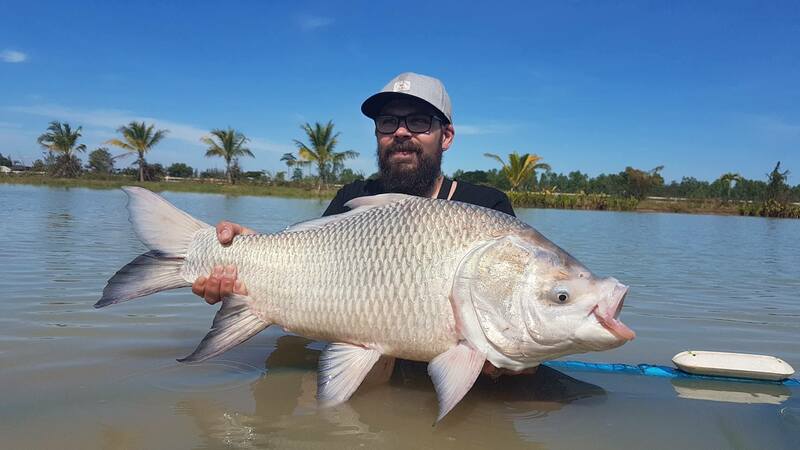 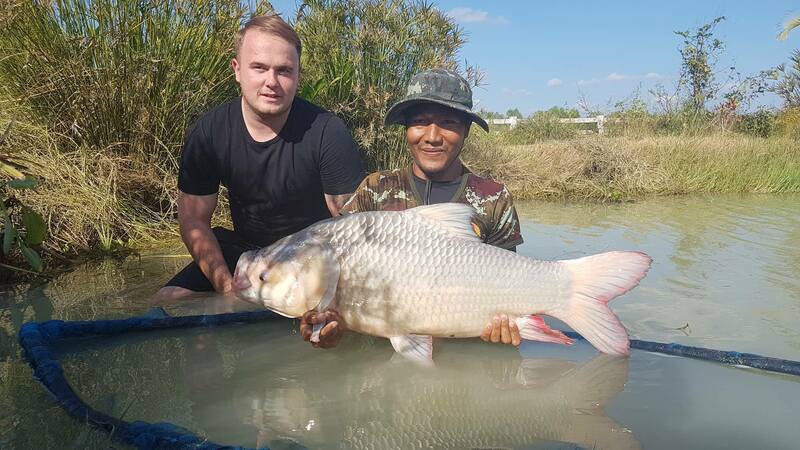 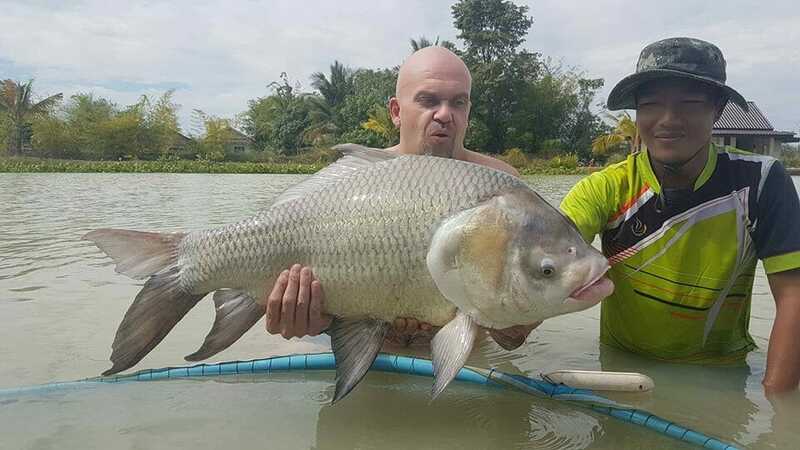 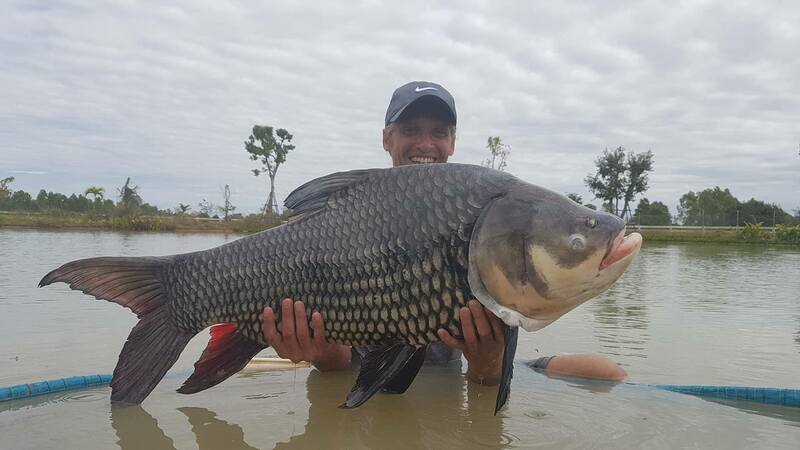 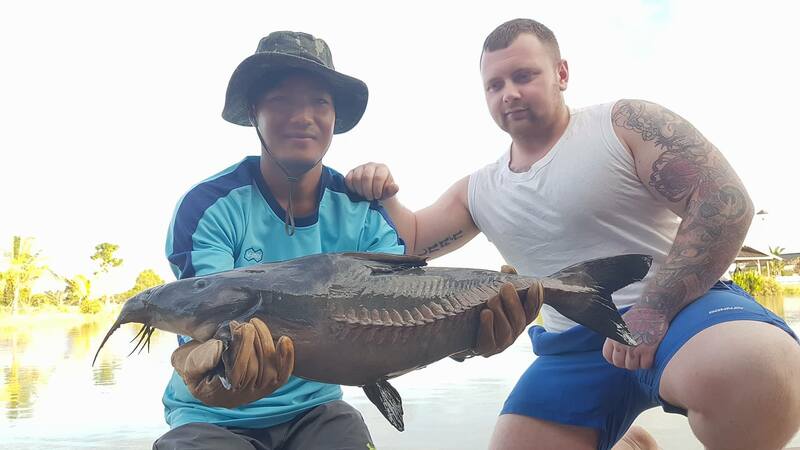 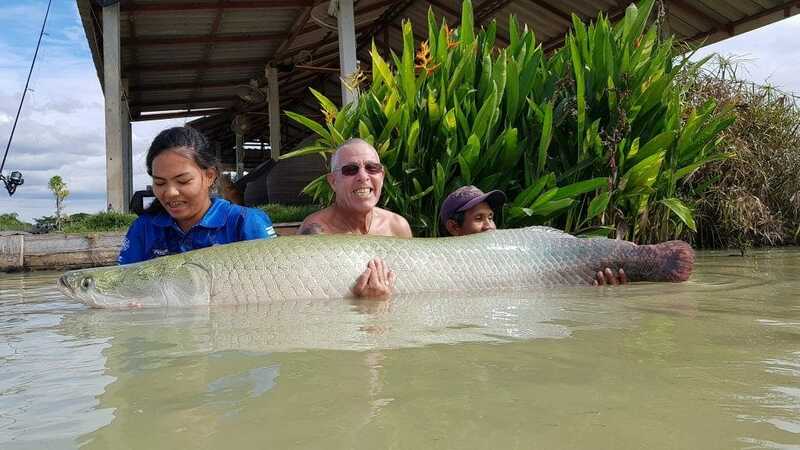 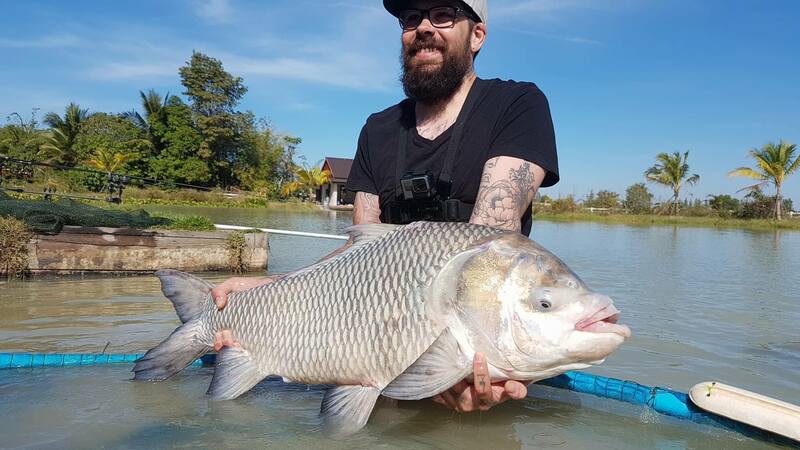 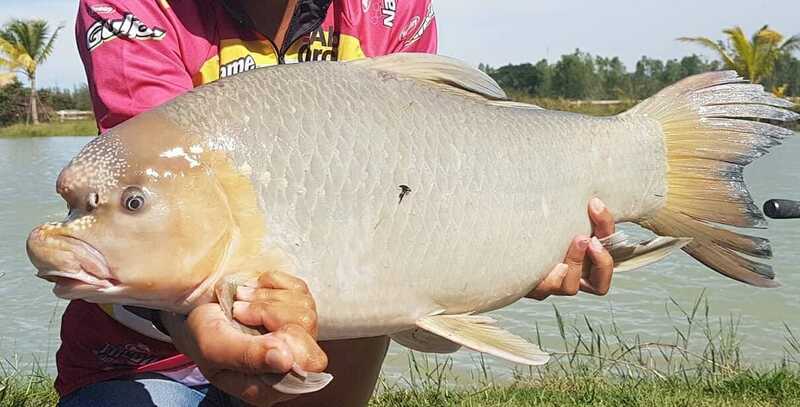 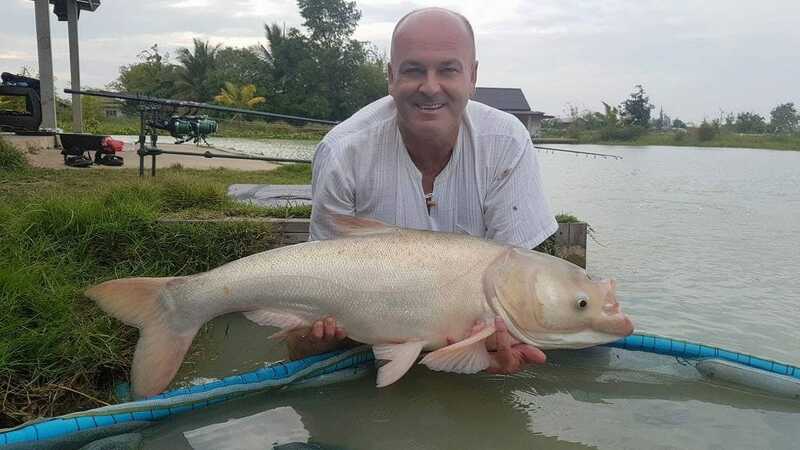 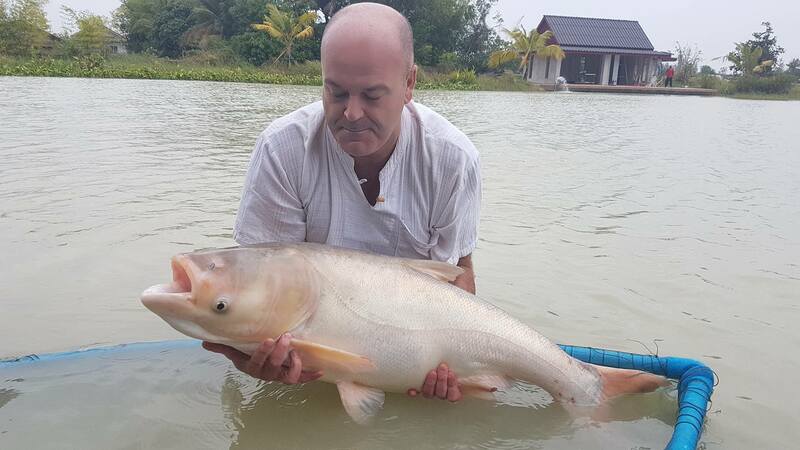 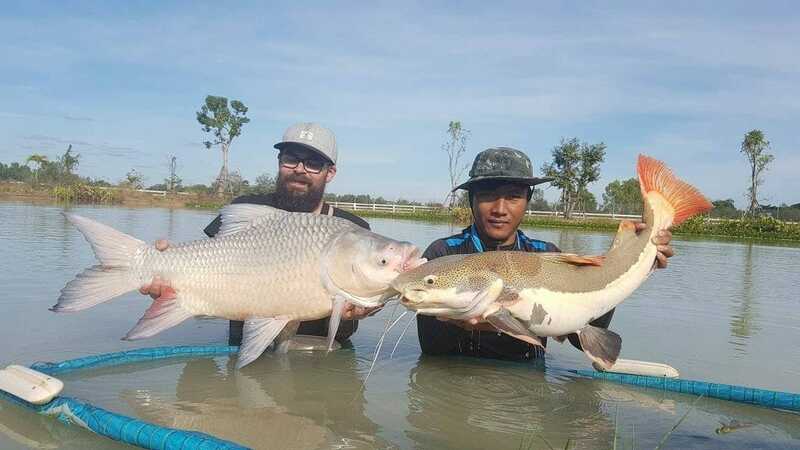 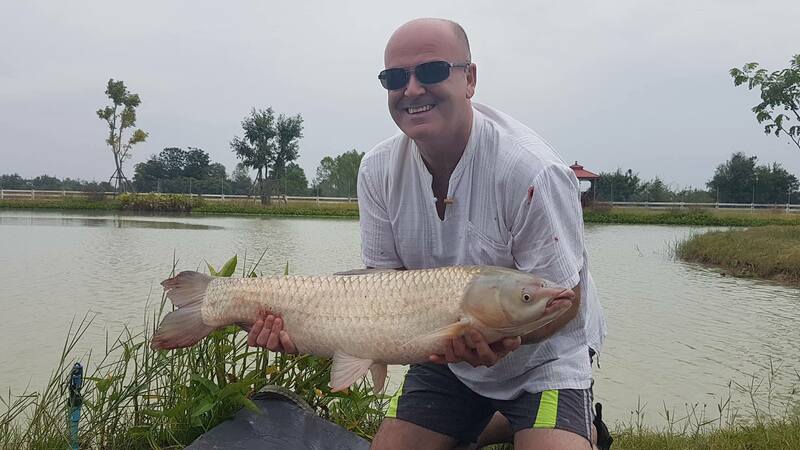 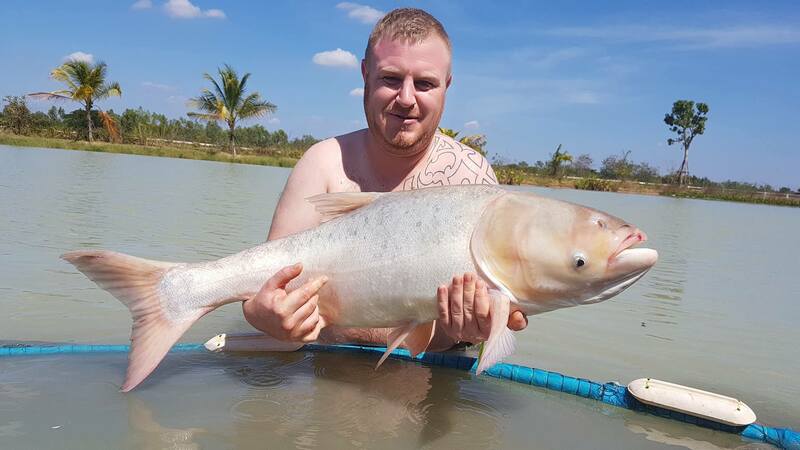 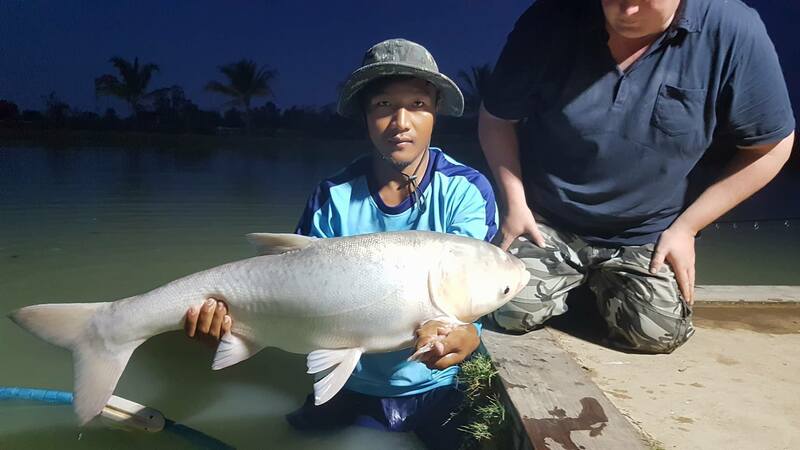 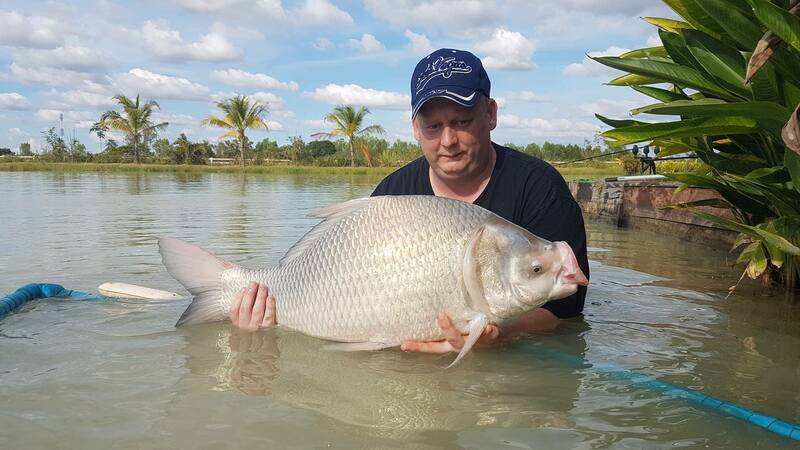 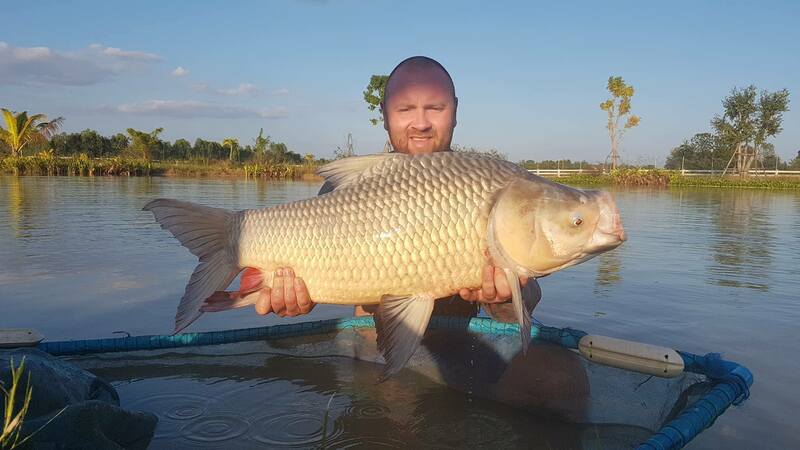 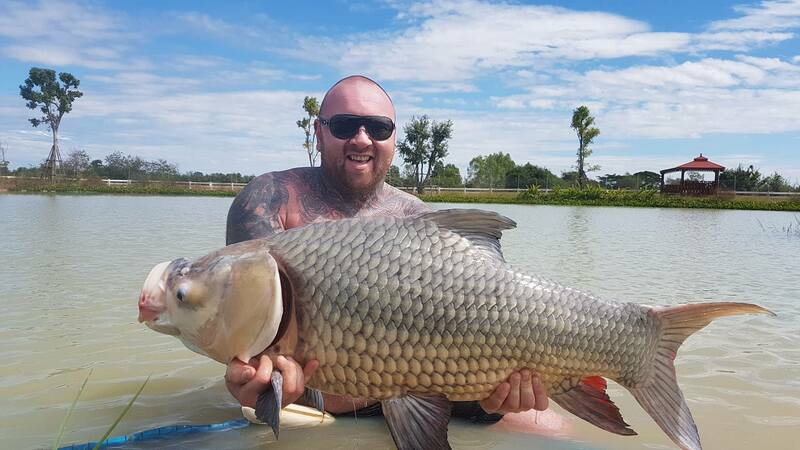 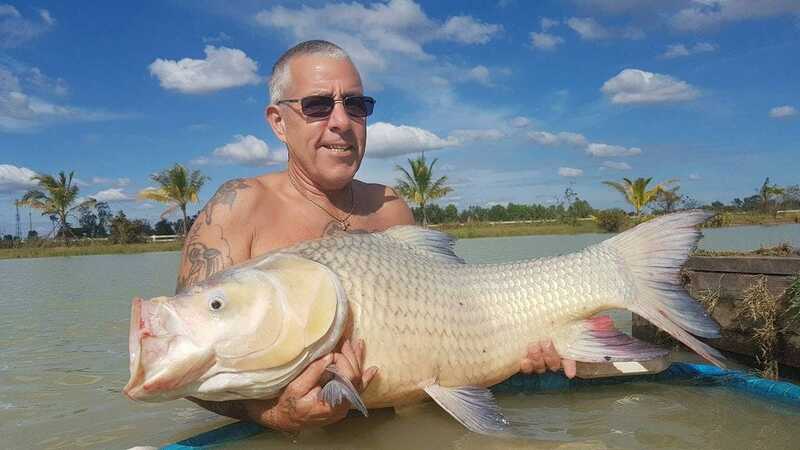 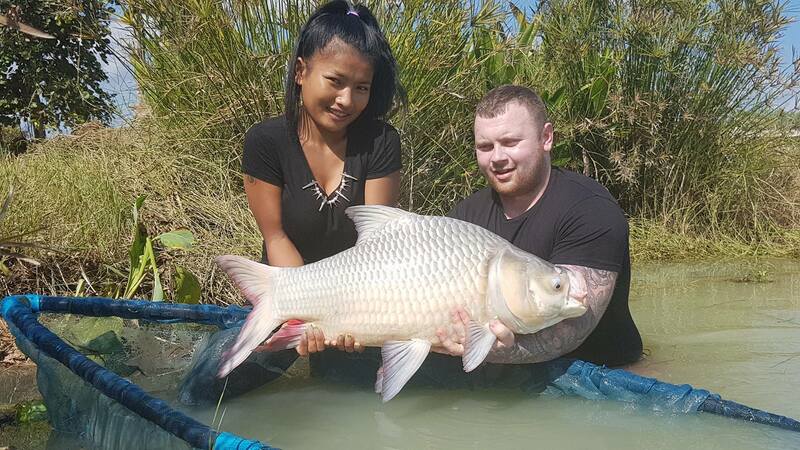 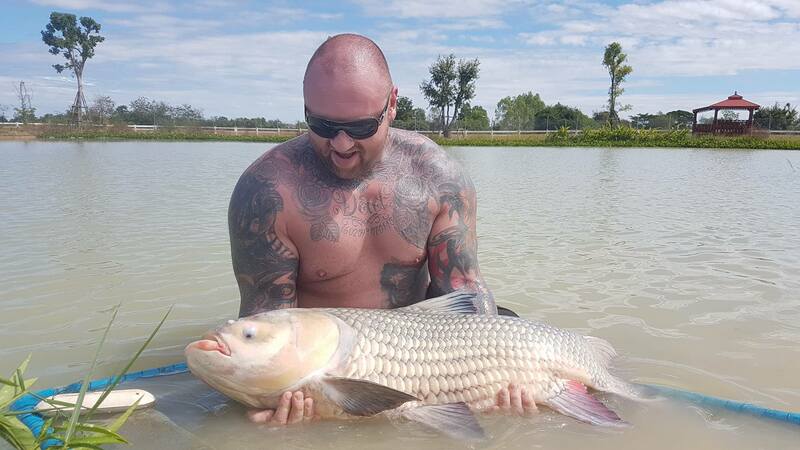 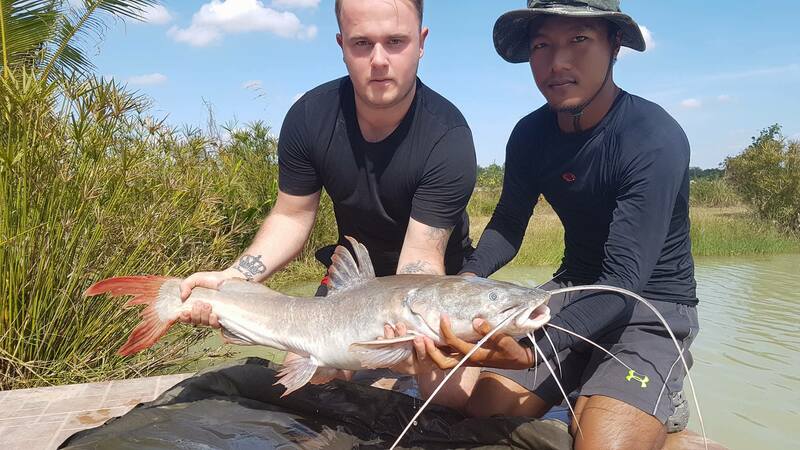 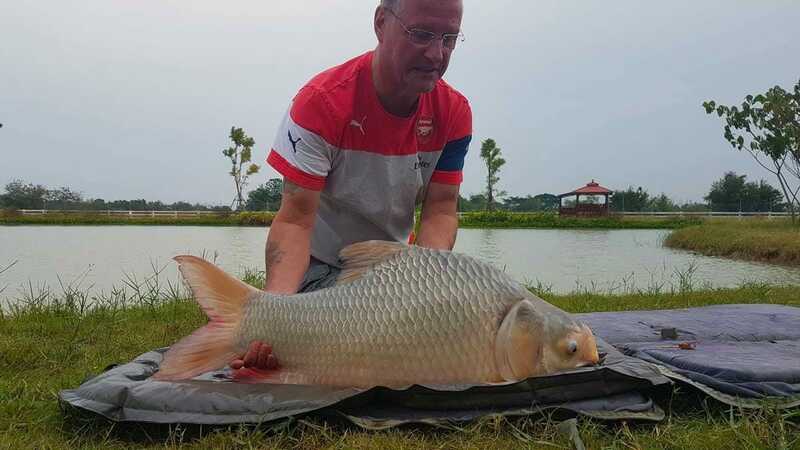 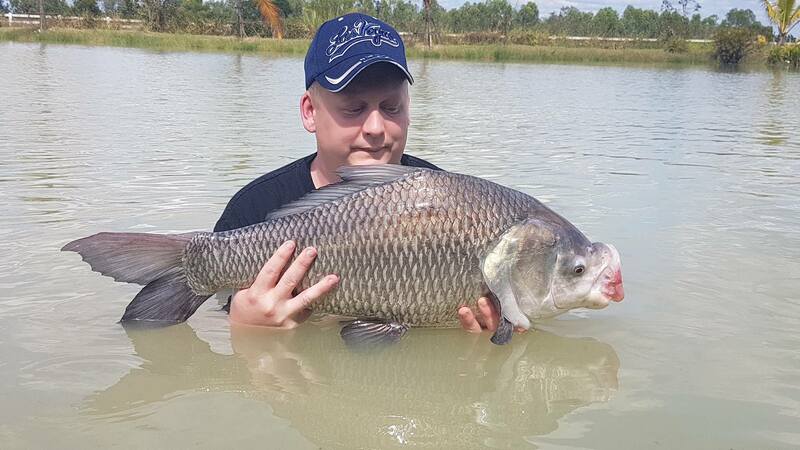 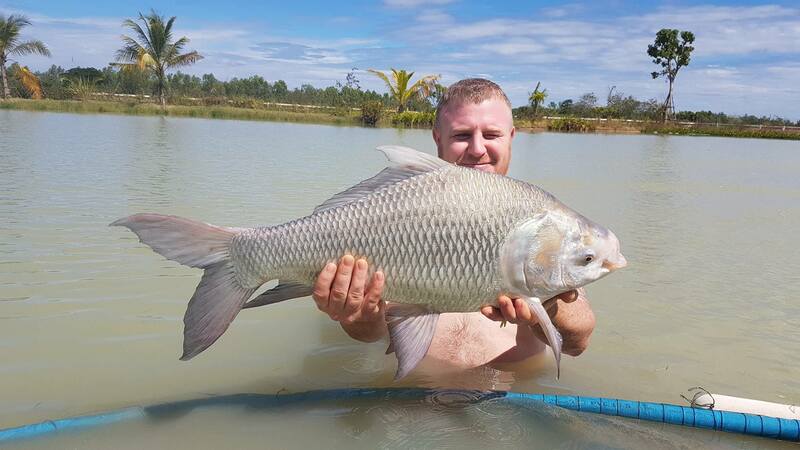 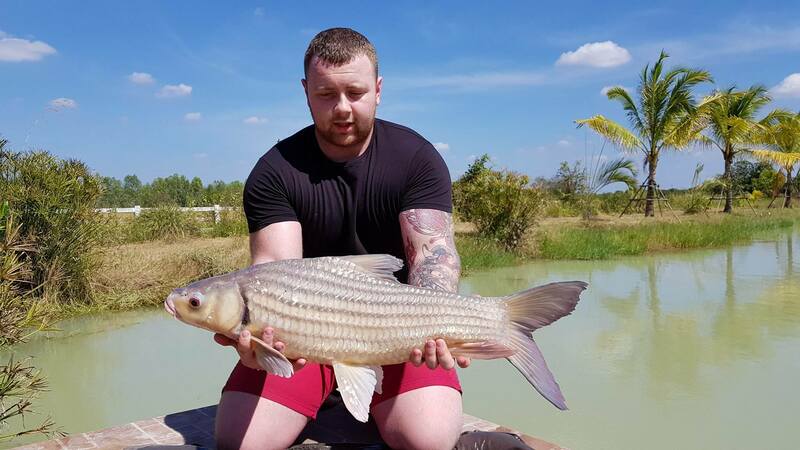 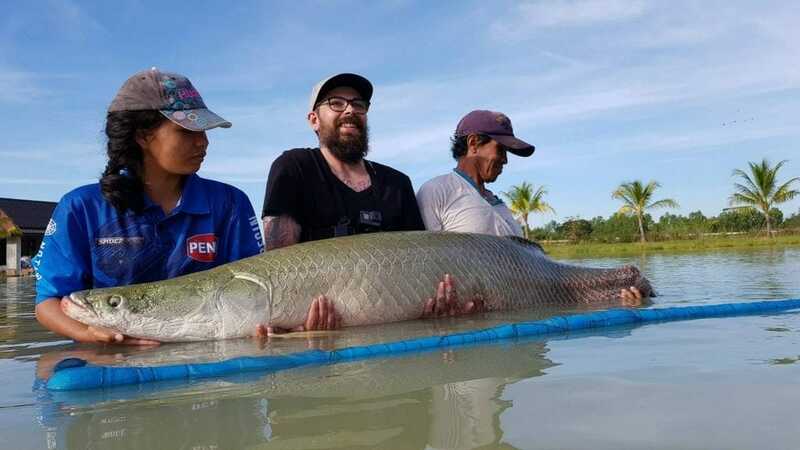 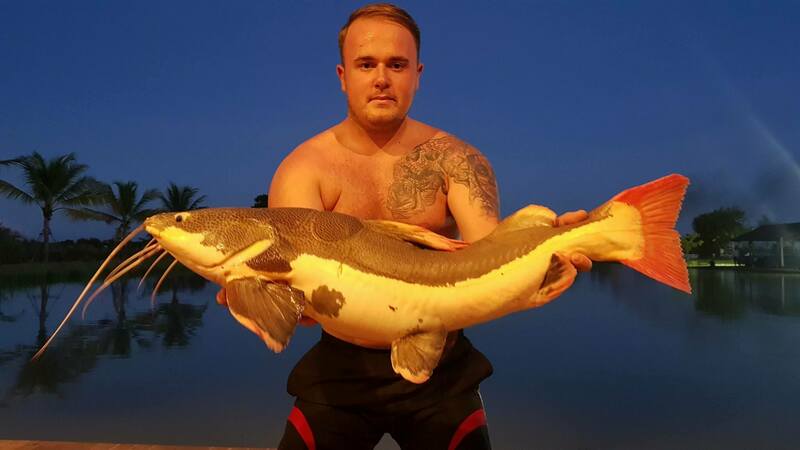 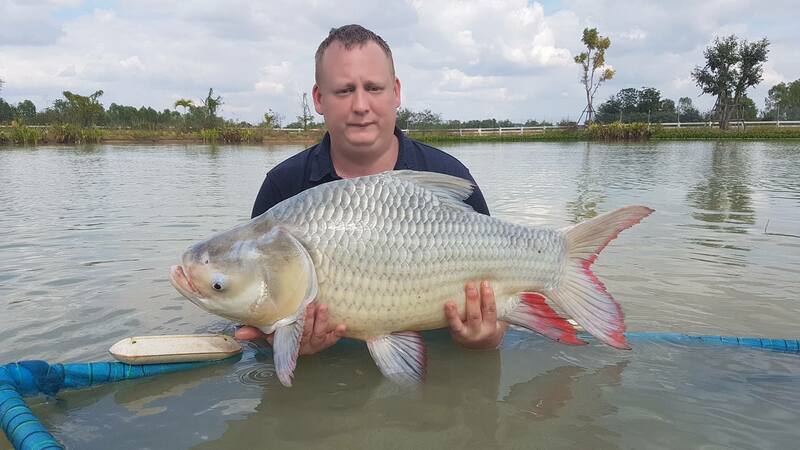 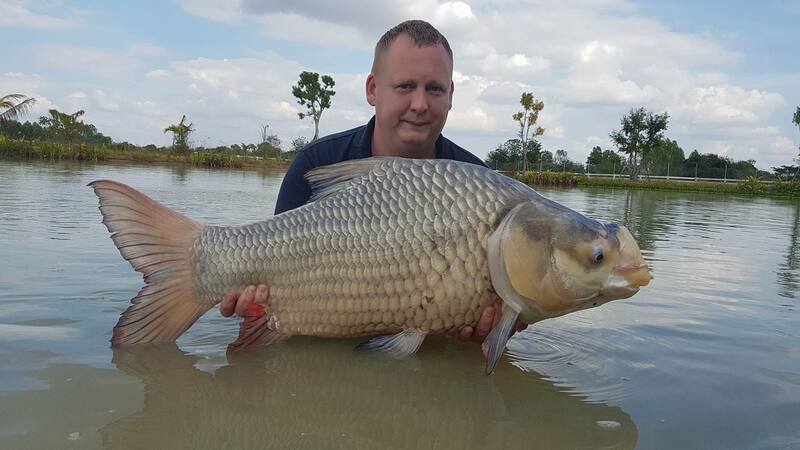 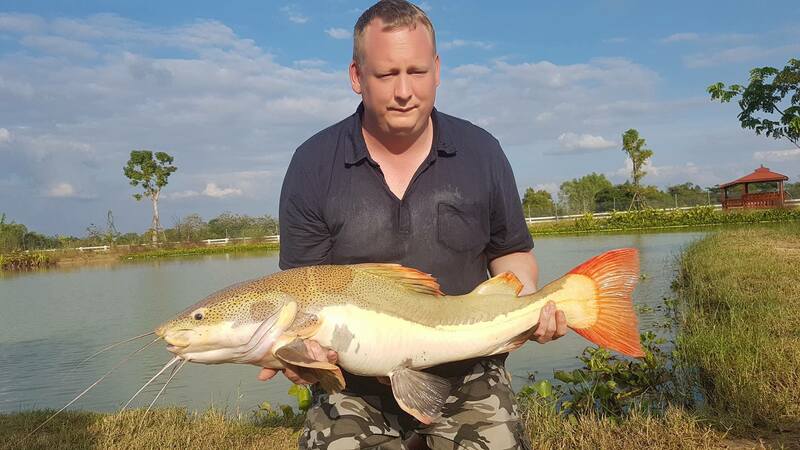 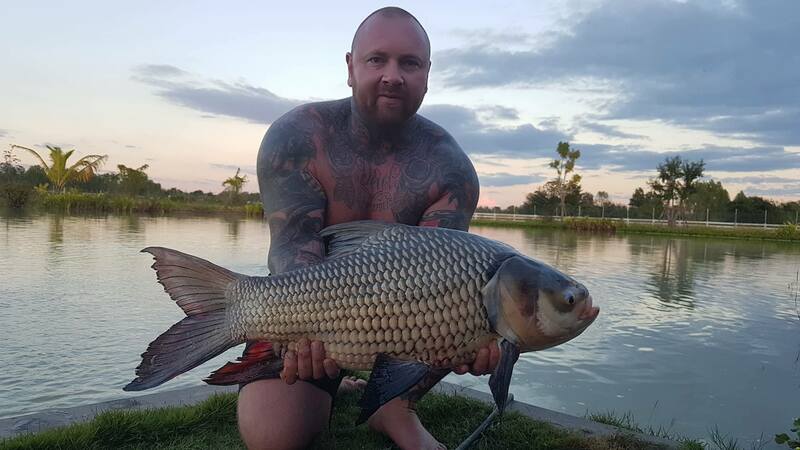 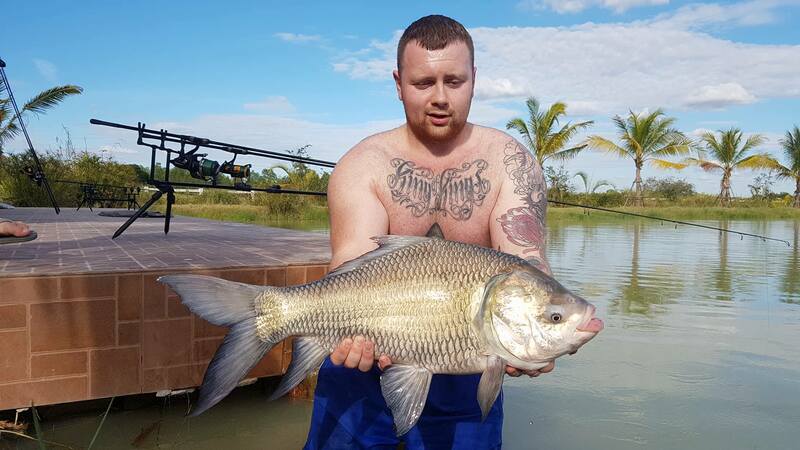 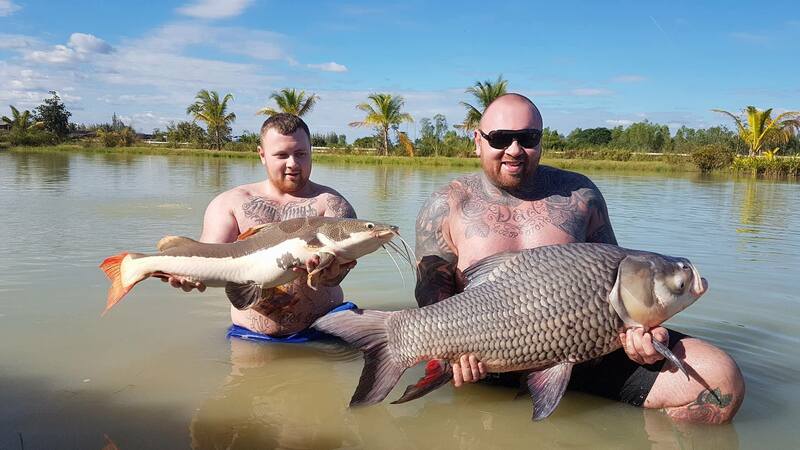 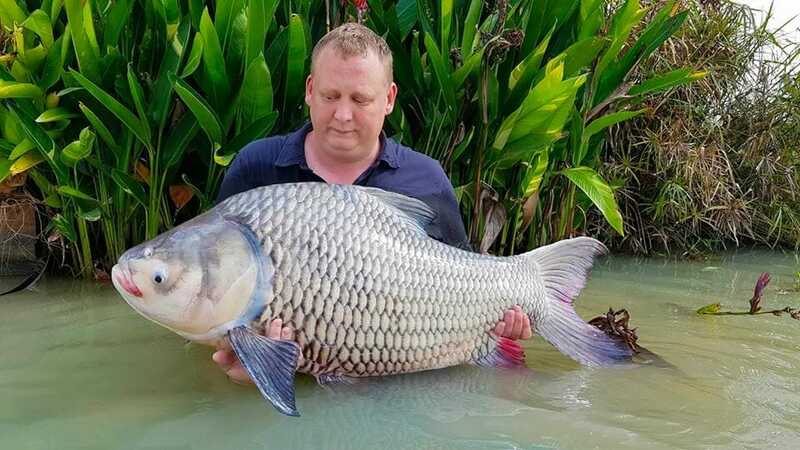 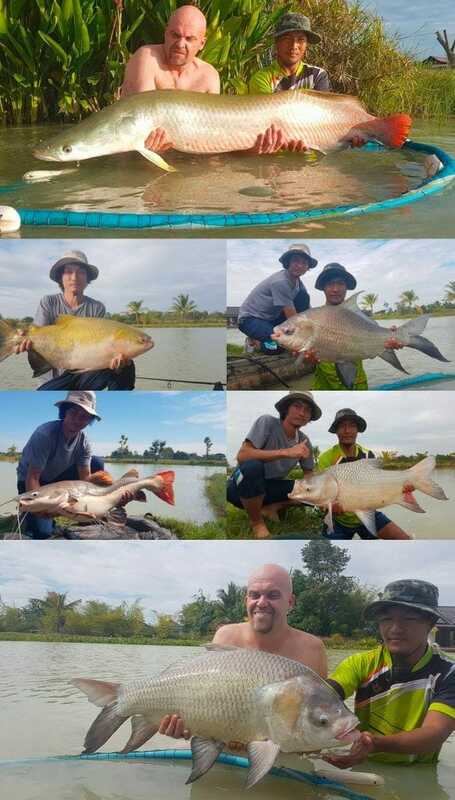 It was a fun couple of days with fellow Brits Charlie, Tony, Alfie and Paul.. with heps of carp and various other species..
it turned out quite a busy day for Dirk Ludwig with 3 Chinese Big Head Carp, a couple of nice Catla Indian Carp and various other fish landed throughout the day…..